I have recently began accepting more sessions in my clients’ homes. These sessions are referred to as “Lifestyle” sessions by photographers, but I’ve heard others refer to them as documentary, journalistic, un-posed, and intimate. All of these terms describe these relaxed, relationship focused sessions very well! I am so happy I’ve been able to take on this style of work going forward. 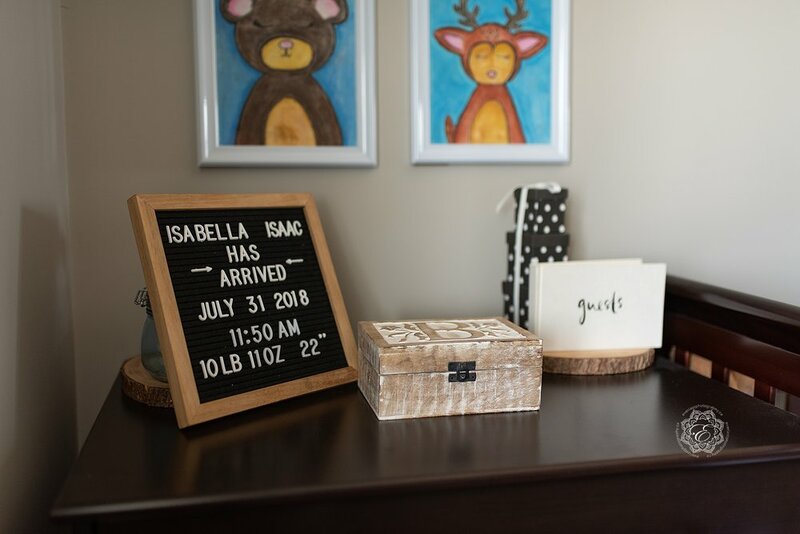 It definitely speaks to my heart and I love that the images showcase baby in their home. As you can see below, there is some light posing, but I like refer to this as more of a guided look. Rather than me posing everyone completely, as I do in studio; I see how you do things naturally with little direction and then I might adjust a hand placement or angle slightly for better lighting. I am also able to achieve similar looks to my studio portraits, as shown in the black and white photo beneath. This is am image I love to capture in studio. It totally connects the family and is sooooo sweet!! But, in this session, I was able to recreate this same image using the beautiful family’s window! We also make sure to incorporate sentimental items from the home and can also use home furnishings to add to our session! In this case, Mom and Dad had a gorgeous duvet cover that I loved and we used this to frame their little one, creating a wall-worthy portrait! Being in the comfort of your own home allows for a lot of baby snuggles and it also allows for intimate nursing time with babe. 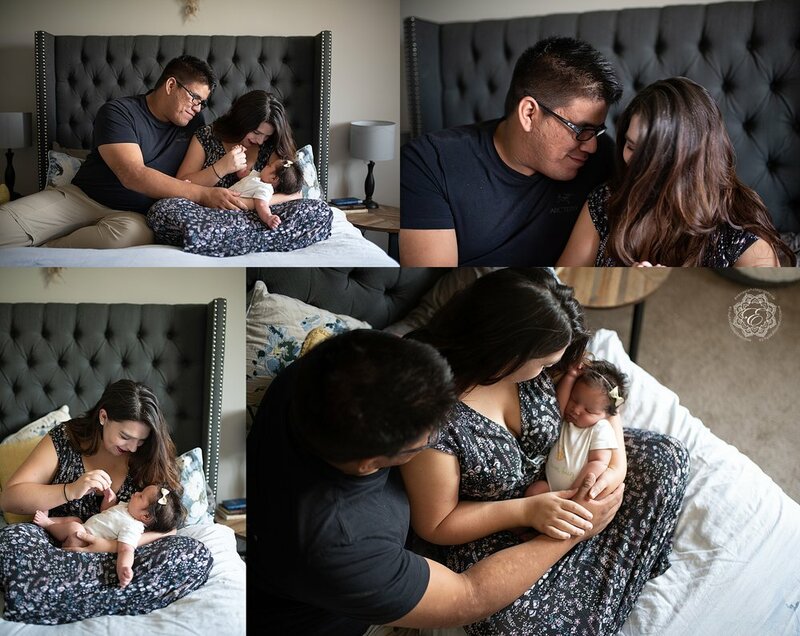 If comfortable, I am happy to capture nursing moments for families as this is such an important and special stage with little ones. As you can see, this girl was so happy and content with Mom and Dad throughout our one hour session. Thank you to my amazing clients for allowing me to photograph their growing family in their beautiful home! 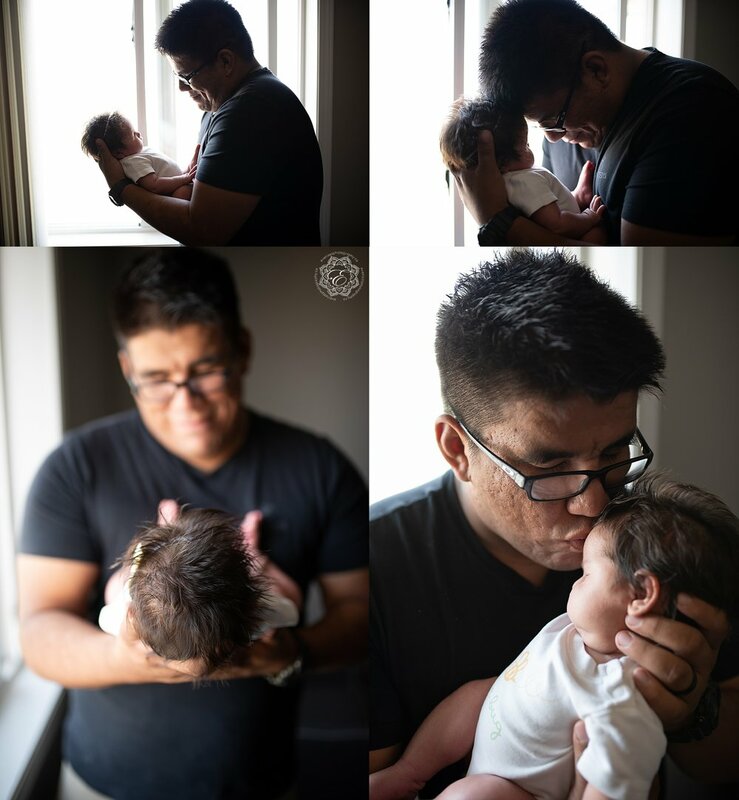 I loved every minute of this session and am happy to have provided these photographs for your family!! If you’re interested in a session with Everlast Photography, I’d be happy to chat with you. Let’s get the conversation started! Please contact me here.